WHO HAVE AN EFC OF $12,000 OR LESS, AN ACT SCORE OF 28 OR MORE, AND ARE ATTENDING AN ELIGIBLE MISSOURI 4-YEAR INSTITUTION. MISSOURI SCHOLARSHIP & LOAN FOUNDATION’S ACCESS EXTRA SCHOLARSHIP, A PRIVATE SCHOLARSHIP FOR MISSOURI HIGH SCHOOL SENIORS IS NOW OPEN ON SCHOLARSHIP CENTRAL! Apply Early. Scholarships will be prioritized on a first come, first served basis until the funding is depleted. 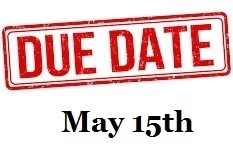 Deadline: May 15, 2019. AFTER SUBMITTING THE GENERAL APPLICATION, STUDENTS WILL SEE A LIST OF “RECOMMENDED OPPORTUNITIES.” THESE ARE OPPORTUNITIES FOR WHICH THEY MIGHT BE QUALIFIED. CLICK THE OPPORTUNITY NAME FOR MORE DETAILS. CLICK THE ORANGE “APPLY” BUTTON TO ANSWER ADDITIONAL REQUIRED QUESTIONS.